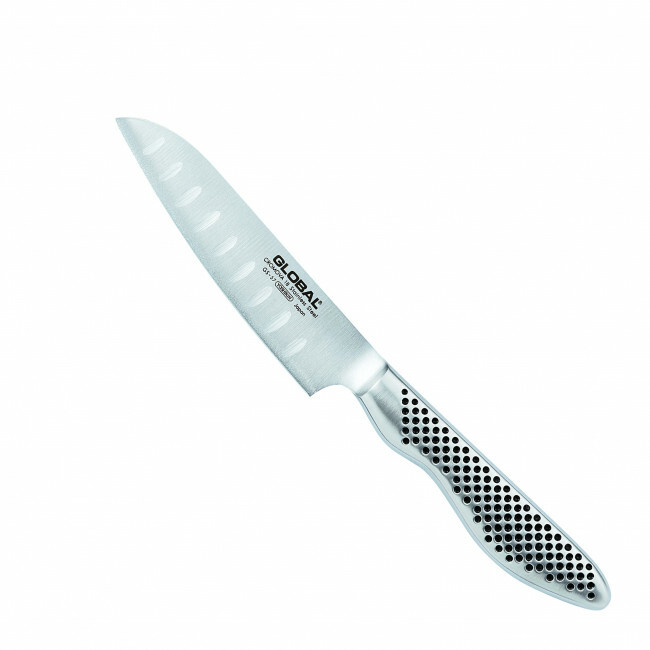 Special Global knife with length 11 cm this Santoku knife with alveoli is made in steel with hardness of 56-58 Rockwell and guarantees an excellent cut for a long time. The particular handle with its ergonomic profile guarantees a practical grip during use. Blades are sharpened with an angle of 15-17° in order to obtain a longer duration with respect to a traditional European knife.